A good runout in Sweden for managerless Fulham, with Zoltan Gera scoring twice and Danny Murphy in fine form. Fulham’s official website has a detailed match report, if you’re interested. 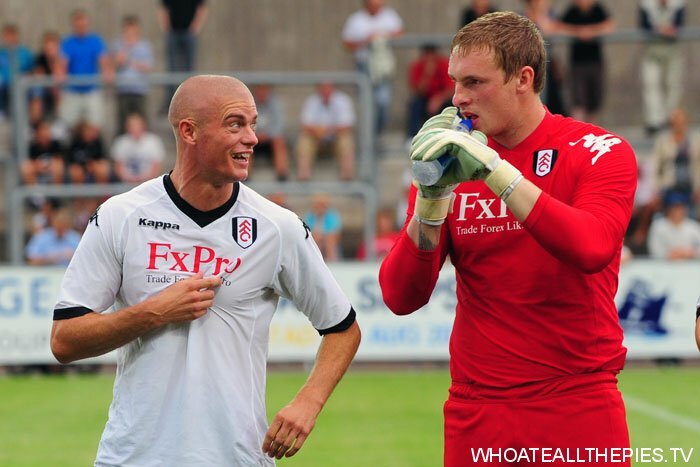 Fulham: Stockdale; Kelly, Baird, Hughes, Konchesky (Smith 62); Duff (Riise 70), Murphy (Dikgacoi 70), Greening, Davies (Elm 78); Gera, Zamora (E.Johnson 70).